This recipe is sponsored by S&W Beans! Thanks for supporting the brands that support DK. 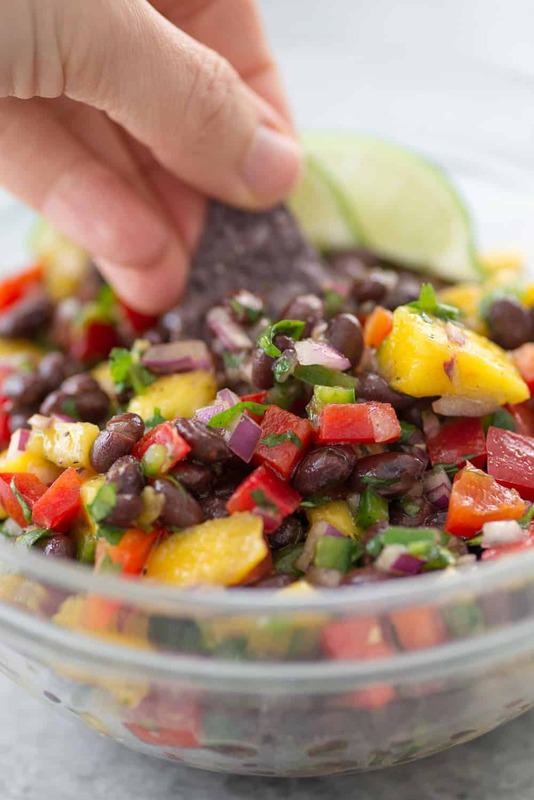 Fresh black bean and mango salsa! This recipe hits all of the snacking spots for me: savory, slightly sweet, fresh ingredients and lots of varying textures. 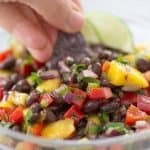 I’ve been making a version of this black bean and mango salsa for years now, but realized that I didn’t have a set recipe to share with you. This salsa is one that you’ll want to make over and over again this summer. It packs well, so you can make it ahead of time for company, take it to potlucks or keep it in the fridge for a few days for easy snacking. I usually serve this with tortilla chips because I love the added salty crunch, but vegetable sticks work as well! You can also eat it straight out of the bowl. 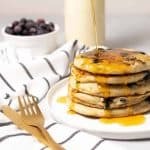 Not only is this recipe incredibly delicious, it’s good for you as well! 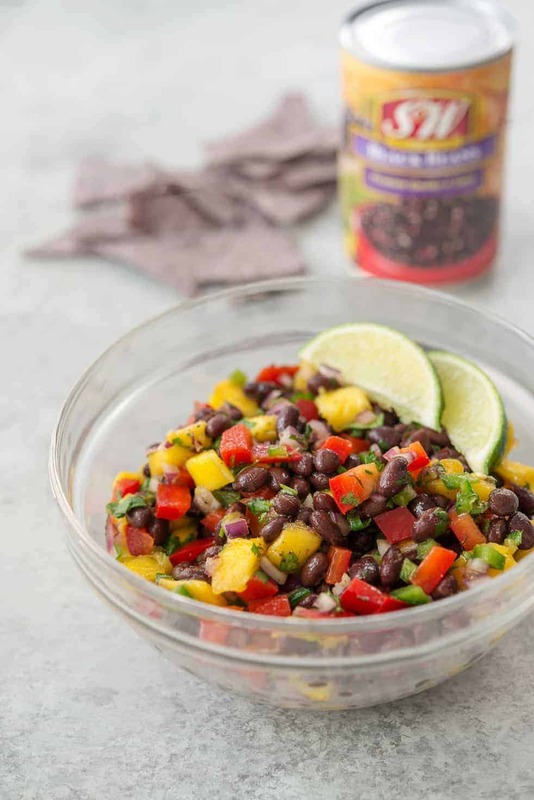 To make this mango salsa have staying power, I added in canned beans as beans have a unique combination of protein and fiber, two key items in helping you stay full. That fiber component is why I’m such a fan of beans as a protein source instead of animal products. You’re still getting protein, but you’re also getting a source of both soluble and insoluble fiber (and prebiotics! ), two factors that have shown to be helpful in reducing cholesterol levels and colon cancer. Ounce-for-ounce, the amount of protein that you get from plant sources, such as beans, is very similar to animal-based foods. In addition to 6-7 grams of protein per serving and gut-healthy fiber, beans are full of other healthful nutrients including cholesterol-lowering sterols and stanols, vitamins and minerals. 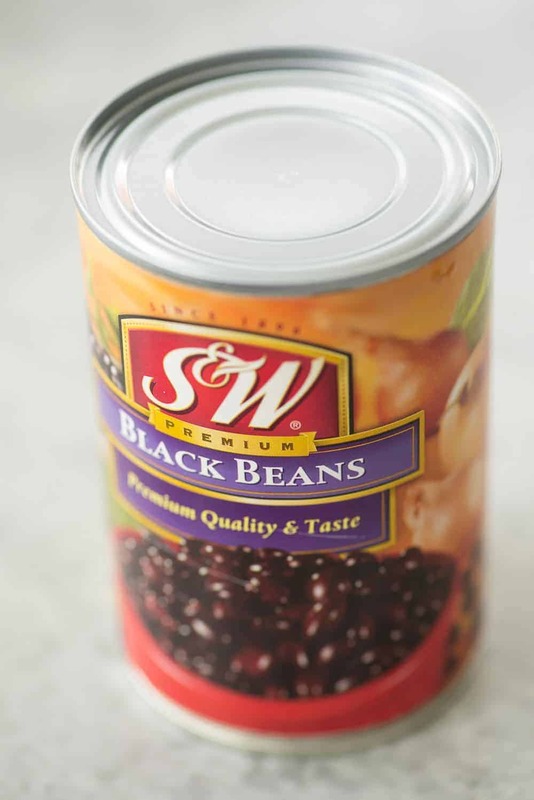 Compared to other protein sources, canned beans are also more sustainable. According to the Food and Agriculture Organization of the United Nations, the livestock sector alone accounts for nearly half of all greenhouse gas emissions created by food production. Crazy, right? 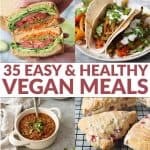 Simply adding more plant foods to your diet in place of animal products will have dramatic effects on our planet’s future. In fact, per gram of protein, production of beans creates 250 times less emissions than beef and lamb, and 40 times less than pork or poultry. This is one of the top reasons that I believe a plant-based diet is not only the healthiest way to eat, it’s also the best thing we can do for our planet. 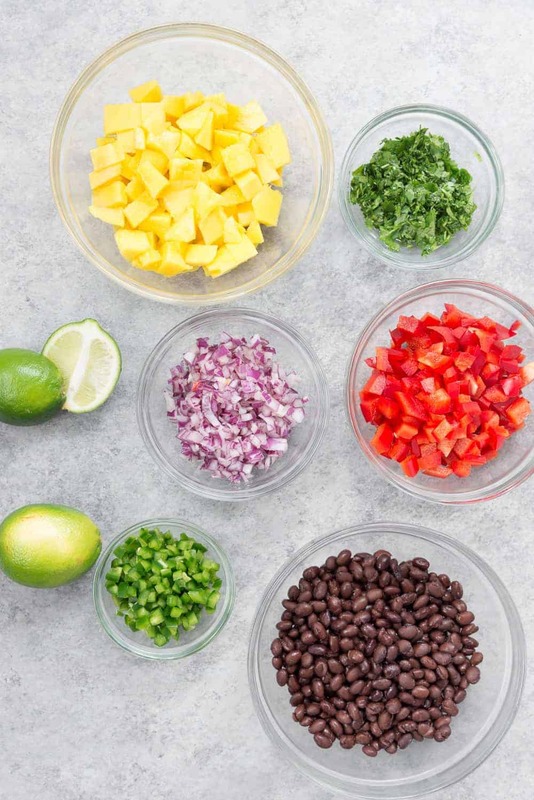 Whatever your reason for adding in more beans to your diet, this salsa is a winner! I know you’re going to love it as much as my family does. 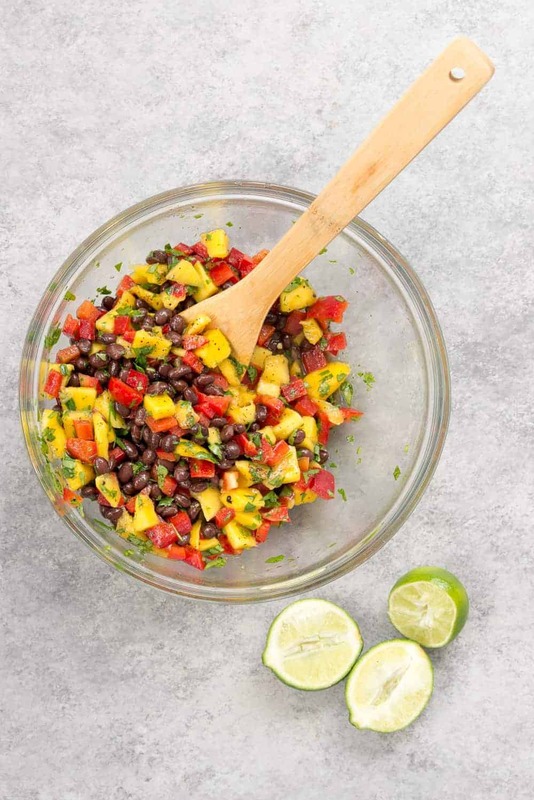 Black Bean Mango Salsa! This simple salsa is packed with fresh, delicious flavor! Mango, red bell peppers, cilantro, jalapenos, black beans and a tangy lime dressing. A must make for summer BBQs, vegan potlucks and more. Combine everything together in a large bowl. Season to taste, adding more salt or lime juice as desired. Serve with tortilla chips, vegetable scoops or as a side dish.